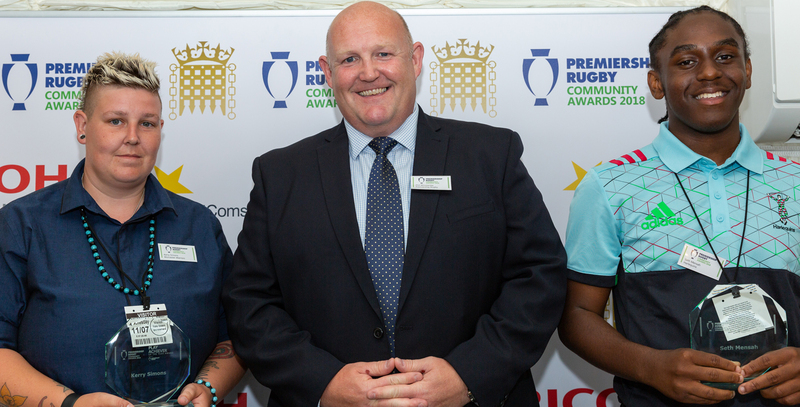 Warriors’ Kerry Simons picked up the PLAY Achiever Award on Wednesday night at the annual Premiership Rugby Parliamentary Community Awards at the House of Commons. 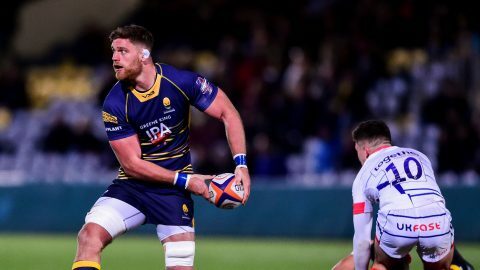 And Warriors’ Kerry Simons along with Seth Mensah of Harlequins, both took home the prize from the event at the House of Commons after the judges were unable to separate them, pipping George Lambert, of Bristol Bears, and Sale Sharks’ Henry Hibbert-Jones to the gong. 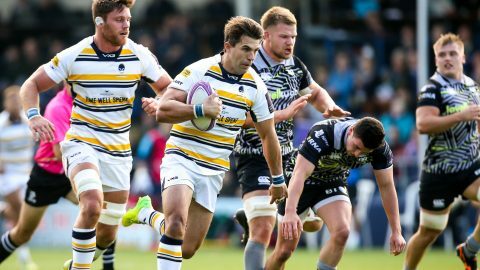 Kerry was recognised after becoming involved in the Worcester Warriors Homeless Rugby team, despite having no previous background in the sport and, by her own admission, being quite anti-rugby. Over a two-year period, Kerry was convinced to take part in sessions and took part in her first game of touch rugby in October 2017 as she overcame her high level of anxiety. Her attitude to rugby has now completely changed and she has transitioned into playing contact rugby at Five Ways Old Edwardians WRFC, being voted captain and playing a crucial role in recruiting new players to join the team. “It’s immense and I wasn’t expecting to be even shortlisted for this,” Kerry said. “The stories of other people I was up against are phenomenal and to come joint first, it’s hard to explain. “The team has helped with my confidence and before it I wouldn’t go to anything like this and to be on stage that’s a massive increase on what I was able to do beforehand. “I have gained so much self-belief as I never really believed in myself until the team helped me believe in myself, so with the push from the team that has helped big time. “Without the team I probably wouldn’t have got the job I just got and I would probably be doing the same stuff as I was before, just dossing around and doing nothing. “It took two years for the team to persuade me to go and join and I was adamant I wasn’t going to do it, but the team and the people who were there just pushed me on. “I’ve enjoyed taking on more of a leadership role as there’s a lot of people in different circumstances and to be able to use my experience to help them move forward is really immense.